I hope this comment is not too long but I’ve been following Tax Gap discussions for so long that it’s hard to pass by the chance to comment! This is an interesting development. Writing from the UK I’m not in regular contact with developments in Canadian tax administration. But I do recall there has been some entertainment over the Tax Gap, with the Parliamentary Budget Officer asking for the CRA to do some work on it - and being rebuffed. The CRA later pointed out “the significant debate about the precision, accuracy and utility of any methodology to calculate the tax gap”. It drew attention to critical comments from the UK Treasury Select Committee, as well as the fact of 52 tax administrations surveyed by the IRS, 33 did not produce one, and the high costs of doing so. 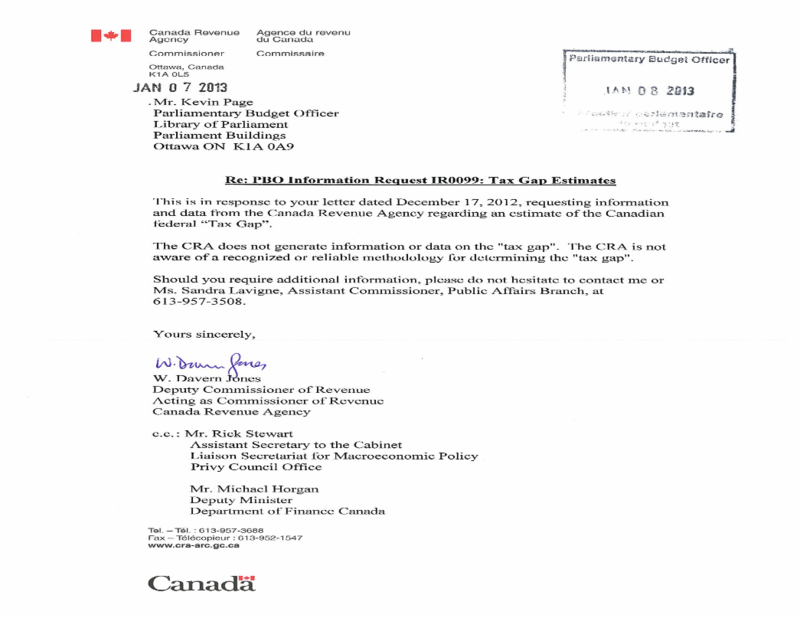 (CRA, PBO Information Request IR0102: tax gap estimates, letter 20 March 2013,] and PBO Information Request IR0102: tax gap estimates, letter 1 August 2013.) In 2014 the PBO even threatened to take legal action in order to compel production. The CRA's conceptual study refers a lot to the HMRC papers and policies on calculating the Tax Gap. But in some of the key areas it dances around what might be difficult decisions e.g., whether to report the gross tax gap, or, as in the UK, the gap after action to tackle non-compliance. More controversially, the UK includes tax avoidance. This is a good illustration of its overall approach. The Canadian paper discusses this option and concludes “the appropriate treatment of tax avoidance is less clear”. It seems Canada has decided to not include avoidance in its definition: “In general the CRA’s approach to the tax gap encompasses non-compliance related to non-filing, non-registration (in the case of GST/HST), errors, under-payment, non-payment, and unlawful tax evasion” (p29). There seems to be no explicit position on avoidance but, although I doubt it will happen, “under-payment” is potentially broad enough to include under-payment via avoidance. Another area the study did not address is what the IMF and EU call the “tax policy gap”. I agree with this decision (which mirrors the UK). The IMF would widen the definition and use of the Tax Gap approach. It suggests including the effects of policy choices that lead to reduced revenues. 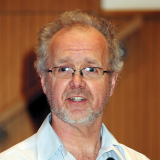 In a study on the UK Tax Gap it refers to the impact of compliance issues on revenue as “the compliance gap” and the revenue loss attributable to provisions in tax laws that allow an exemption, a special credit, a preferential rate of tax, or a deferral of tax liability, as the “policy gap” (para 68). As part of this they recommend tax avoidance schemes deemed legal through litigation should be considered part of the policy gap, not the compliance gap, and this distinction should be made clear. In my view these kinds of proposals are likely to be very complex, perhaps contentious, and hard to administer. It seems a sensible decision to not refer to them or suggest their inclusion. Then there are the base erosion issues where tax is avoided through the use of legal structures that make use of mismatches between domestic and international tax, e.g. permanent establishments. The Canadian study nods in the direction of BEPS and then passes by. What’s the point of working out a Tax Gap? But putting aside these sorts of issues, or whether “top-down” targeting is better than “bottom-up”, does the size of the hidden or “informal” economy predict the level of GST/VAT underpayment (or is it the other way around? ), perhaps the big $64K question is whether any of this means anything. If there is no clear agreement on the numbers, how they are calculated and their reliability, then is there are any point in preparing them? The very concept of the tax gap is not universally agreed to be a useful analytical or strategic lever. Apart from the earlier Canadian reluctance, the Australians were slow to go down this road. UK Parliamentarians have been less than keen. In 2012 the Treasury Select Committee said they thought it was essentially a waste of time and resources. Worse, they feared it would misdirect HMRC away from ensuring every taxpayer paid the right amount of tax. Such fears have not died. The current TSC is examining UK corporation tax. Their early work involved scoping the problem and they heard some evidence on the tax gap. Andrew Tyrie (the Chair) seemed less than enthused at the very concept. The Canadian paper says broadly the same things (pp22-24). It talks of providing insight into the overall health of the tax system, of understanding the composition and scale of non-compliance, but warns of their limitations. If that is how it used then I think it is a useful aid to policy making and how robust is the assurance being provided by the tax administration. This study has been undertaken after many calls from academics and nongovernment organizations, including Canadians for Tax Fairness, which according to the CRA will be involved in consultations regarding the ongoing study. Canadians for Tax Fairness estimate that Canada loses $7.8 billion in income tax revenues to "tax haven" use, a number they constructed using Statistics Canada's foreign direct investment data. There are a number of challenges facing tax administrations undertaking tax gap estimation. The key challenge is access to the comprehensive and good-quality data necessary to produce estimates. A significant proportion of the tax gap involves unreported or under-reported income and assets and economic activity that are deliberately hidden from the government. As a result, many countries that publish tax gap estimates highlight their uncertainty. Expect more to come from this exercise as the tax gap study is a key component of the Government's pledge to spend $444 million over five years "to enhance [CRA] efforts to crack down on tax evasion and combat tax avoidance." His argument was essentially that the definitions in s. 248(1) of “business,” “employee,” “employment,” “person,” and “taxpayer,” are incomplete and render the Act unconstitutionally vague. These are inclusive definitions, a non-exhaustive style frequently used to define terms in the Act, which leaves room for the defined words to encompass things not explicitly contemplated in the statutory definition. Unsurprisingly, the Court rejected Mr. Brown’s challenge to these terms and to the act as a whole, walking quickly through the approach to vagueness — a law is only unconstitutionally vague if it is so imprecise that it fails to provide sufficient guidance to legal debate. The court indicated that even if these terms were entirely undefined, there is sufficient meaning that their precise definitions could be, and beyond their inclusive definitions are, judicially determined according to their ordinary meanings in accordance with standard approaches to statutory interpretation. This case nonetheless raises the question of access to justice for individual taxpayers. It is not unfair to note that the Income Tax Act and its interpretations are at times incredibly convoluted, and it may be impossible for an individual without legal training to accurately and confidently determine her tax liability without costly advice from tax professionals. As in criminal law, in tax ignorance of the law is no excuse — but ordinary persons’ meaningful access to this knowledge is increasingly illusory. Thanks to Marc, for this succinct summary. The Canada Revenue Agency confirmed late Tuesday that it has accidentally disclosed confidential taxpayer information to the CBC. CBC reported that the tax information contains data about hundreds of Canadians — many of them rich and famous — including their home addresses. ...The CRA said in a release late Tuesday that when it became aware of the breach, officials immediately contacted the CBC to retrieve the documents. The agency said the CBC ”regrettably” chose to disclose names and a response from the network was not immediately available. However, in its story on the breach, CBC News made clear it was not disclosing much of the information it had. The network said it was "withholding most details from the list, apart from the names of some of the people cited, out of respect for privacy." The United States enacted a tax reform in 2010 known as the Foreign Account Tax Compliance Act (FATCA), which will impose an extensive third-party monitoring and disclosure regime on financial institutions around the world in an effort to “smoke out” American tax cheats and expose their undeclared foreign assets to the U.S. Internal Revenue Service (IRS). The flow of information from Canadian financial institutions directly to the IRS that is required by FATCA would violate a number of laws in Canada. Accordingly, the United States has requested changes to these laws. The Canadian government now seeks to accommodate these requests in the form of an “intergovernmental agreement” (IGA) with the United States, which will be enacted into law as the Canada–United States Enhanced Tax Information Exchange Agreement Implementation Act (the Implementation Act) pursuant to a proposal released for comment by the Department of Finance. The Department of Finance invited public comments on these documents. We examined the proposed Implementation Act and the IGA and we find that they raise a number of serious issues ranging from likely constitutional violations to violations of international law. We submit these comments in the hope that they will help lawmakers and the public understand that FATCA, while intended to catch tax evaders, is poised instead to impose serious and unjustified harms on people who live around the world as non-resident U.S. citizens and green card holders, as well as their family members and business associates. I know that some of my good friends and colleagues view FATCA as a net positive step toward a much-needed global automatic information sharing regime, and some have not understood my reasons for caution. I hope that this submission will help explain some of these reasons. I want to add that in my view, the Department of Finance unnecessarily inhibited public debate on the impact of the proposed legislation by setting an arbitrarily short period for comments. The agreement itself is complex and must be analyzed in the context of the underlying U.S. law and regulations as well as the more than twenty agreements the U.S. has signed to implement FATCA with other countries. In the little more than one month’s time that the Department of Finance allotted for public comment, these thousands of pages of applicable law and regulations have been augmented by several hundred new pages of guidance from the United States tax authorities, and will be further augmented when the Canada Revenue Agency (CRA) publicly releases its own guidance for Canadian financial institutions. In restricting the time for Canadian tax practitioners and policy observers to review this lengthy, complex, and fundamentally global regime, the Department of Finance has deprived itself of the opportunity to receive more meaningful and thorough consideration of the many policy and practical issues involved in implementing FATCA in Canada. I hope that the Finance Department will extend its time to receive comments, especially if and when further guidance is issued. Things have been exciting the past few days as a long-expected agreement on FATCA between Canada and the US was announced and Canada's Department of Finance released a flurry of accompanying materials. The US Treasury has now added Canada to the list of jurisdictions deemed to have an agreement in effect. I will have more analysis soon but just wanted to provide some of the most useful links to get things up to speed. Canada's Department of Finance has also produced a draft legislative proposal that would implement the agreement into Canadian law. This includes text for a new section on Enhanced International Information Reporting in the Income Tax Act. Assuming that the agreement is considered to be a treaty, Parliament needs to be officially notified that an agreement has been signed and 21 sitting days must pass before legislation is introduced to implement the agreement into Canadian law, which would take us to roughly March 27. During Thursday's Parliamentary proceedings, MP Murray Rankin offered some pointed questions on the pact and the implications for the financial privacy of Canadians, but I am afraid the answers may actually sow confusion, more on that later. Comments on the legislative proposal can be submitted to the Department of Finance at IGA-AIG@fin.gc.ca or to the address below. The closing date for comments is March 10, 2014. Theresa Tedesco at the Financial Post comments on the scope of FATCA and what reciprocity really means. More to come as things unfold in the coming weeks. Tagged as: Canada FATCA u.s.
16. You have the right to lodge a service complaint and request a formal review without fear of reprisal. We know that to be trusted, effective, and efficient, we must conduct ourselves ethically and honestly, and the CRA strives to do so every day. Our employees are expected to act in accordance with the CRA Code of Ethics and Conduct and the Values and Ethics Code for the Public Sector. These codes are terms and conditions of employment and they reinforce our commitment to serve the public with integrity, professionalism, respect, and cooperation. This right means that if you lodge a service complaint and request a formal review of a CRA decision, you can be confident that the CRA will treat you impartially, and that you will receive the benefits, credits, and refunds to which you are entitled, and pay no more and no less than what is required by law. You should not fear reprisal. We are required to apply the law and relevant CRA guidelines and policies, which may include the charging of penalties, or requiring the payment of your debt. When CRA employees act in accordance with the law, these do not constitute acts of reprisal. If you feel that you have been subject to acts of reprisal, the CRA wants to hear from you. We take your concerns seriously. Tell us about them by completing section 3 – Reprisal Complaint on Form RC193, Service‑Related Complaint. We can assure you that we will address your complaint, and that we will send it directly to an investigation office located at CRA Headquarters. This will ensure that the investigation is conducted independently of the office associated with the complaint. Although there is no evidence that Canadians have been subject to reprisal by the CRA, in his work across the country, the Taxpayers’ Ombudsman heard that taxpayers would sometimes hesitate to lodge a complaint for fear of being treated differently afterward. To address this unwarranted fear and encourage Canadians to speak up if they have a disagreement with the CRA, the Ombudsman recommended that a new right be added to ensure Canadians are confident they will be treated fairly. The Taxpayer Bill of Rights is an agency statement that lacks the force of law, but many of its rights are legislated (via the Charter or otherwise). This new right aligns with observed attempts by tax agencies to present themselves as "service-oriented," that is, as if taxpayers were customers. It remains to be seen if and how taxpayers will avail themselves of this newly articulated right. Mr. Dan Rivet, (Manager / GAAR and Inter-provincial Tax Avoidance Section at the CRA) will discuss the various types of abusive tax planning schemes that are currently being audited by the CRA and the success that the CRA has had in its fight against abusive tax planning both at the domestic and the international levels. Mrs. Agathe Simard (Director General – Direction principale de la lutte contre les PFA at Revenu Québec) will be discussing the new Québec measures that require the filing of tax returns by all non-resident trusts who hold immovable property in Québec. En français, I expect--you can check out the program at the link above and register online. Canada Revenue seeks source data on tax evasion from the ICIJ to bring "appropriate action"; What role due process? ...It is my understanding that a leak of large amounts of data potentially exposing cases of offshore aggressive tax avoidance and possibly tax evasion is the catalyst for these stories. I also understand that your organization may be in possession of some or all of this data. You will know that the Canada Revenue Agency has already been in touch with your organization to underscore the importance of this information to our continuing efforts on behalf of Canadians to combat offshore aggressive tax avoidance and evasion. I would expect that both the CBC and you, as its president and CEO, have an interest in ensuring that appropriate action is taken if individuals are not respecting their tax obligations. Taking action against individuals who are not respecting their tax obligations is in the best interest of the public and law abiding Canadians. The provision of the data that your organization has in its possession would allow the CRA to pursue cases where this is occurring without in any way infringing on your journalistic mandate. I again respectfully request that you provide to the Canada Revenue Agency all of the data the CBC received through its collaboration with the International Consortium of Investigative Journalists so that the Agency may review and take action according to its mandate. I understand that the CBC is reluctant to provide this data, citing concerns with journalistic independence and protecting sources. I can assure you that the Canada Revenue Agency has not asked for the source of the information and will treat any information you provide with strict confidentiality in the same manner it treats all taxpayer information it receives. I sincerely hope that you will respond positively to this request and agree to provide this information so that the CRA can carry out its responsibilities. Lots of loaded language there but it's clear the CRA can't compel the CBC to hand over the data, and is appealing to the CBC's sense of responsibility to society to make sure that tax cheats are brought to justice. Notice the CRA doesn't confine itself to the data that implicates Canadian taxpayers--they want "all the data." I wonder why they don't offer the temptation of the newly-authorized whistleblower rewards. But is it not the case that the CBC, and the ICIJ, have obtained this information illegally? And if so, what are the ramifications for bringing criminal action in Canada? The Declaration is simply an agency statement and lacks the force of law, but many of the rights it details, including the right to privacy and confidentiality, are “legislated” rights, that is, they are contained in the Charter, the Act, other statutes, or the common law. Legislated rights do have the force of law so Canadians have mechanisms to seek redress in cases of breach of confidentiality or privacy by the CRA. Presumably, other countries have similar confidentiality rules and taxpayers have rights in those countries, too. Have these not been (and are they not being) violated by the sender of the hard drive, the ICIJ, the CBC, and the other journalists? Of course, the CRA would be entitled to data on Canadian taxpayers from the taxpayers themselves and from relevant third parties under domestic law, but this is the major sticking point of the international tax system today: barring automatic information exchange from other governments, it is hard for the CRA to find money hidden offshore without resorting to extra-legal means of obtaining information. So if we think the people exposed in the ICIJ leak have violated Canadian law, we must also recall that they have due process rights under that law. Would prosecution of Canadians using such illegally-obtained information pass internal due process requirements? I think the answer is probably yes, and I wonder if Canada might diverge from the US in the ability to use ill-gotten evidence in a criminal prosecution. The reason I think that Canada could use the data as evidence in a criminal prosecution is that even though every Canadian "has the right to be secure against unreasonable search or seizure," and even though this Charter protection has been interpreted to require law enforcement authorities to seek prior judicial authorization for a proposed search and seizure if the target has a reasonable expectation of privacy with respect to the information sought, the case of Schreiber v. Canada says that the rights and freedoms enumerated in the Charter are guaranteed only against interference from actions taken by the federal or provincial governments of Canada. Following the Schreiber decision, it seems that even tax information obtained illegally would be admissible against Canadians, so long as it wasn't the Canadian government that was responsible for the illegal action that exposed the behavior. In the United States, the result might be different. The cases of United States v. Wolf (1984) and U.S. v. Phillips (1979) suggest that information requested from another government by the IRS would be inadmissible as evidence against a U.S. citizen if it was seized by the foreign government in contravention of U.S. law (even if the seizure was allowed under foreign law). Turning that around, I am not sure what happens if the IRS tries to use information that a private citizen produces in contravention of foreign law, but perhaps the cases suggest that if the information is produced in a manner that also violates US law, it could not be used as evidence in a criminal prosecution. If anyone reading this could shed more light on the subject, I'd be grateful for the insight. Relatedly, I've been wondering what happens to the ICIJ, the CBC, etc. themselves, if they expose names and financial information about anyone that turns out not to be engaged in anything illegal? Maybe this seems improbable but it bears recalling that it is not illegal to own an account in another jurisdiction, including in the Cook Islands. What is illegal is failing to fulfill disclosure obligations under the laws of any jurisdiction that claims sovereign rights over you. That kind of information is perhaps not on the hard drive, so mistakes could be made in exposing people to public scrutiny who are not engaged in anything illegal. Thus the CRA makes the leap from data on a hard drive to evidence that Canadians are shirking their tax obligations, but it's certainly possible that not all the data points in that direction. That may be why the ICIJ has not made the source data public as Assange did--perhaps there is some sense that disclosure of all the data on the drive might not necessarily be "in the best interest of the public and law abiding" population, of Canada or otherwise. In any event this story continues to unfold and as usual raises more questions than I can readily answer. I will be very interested to see how things proceed in terms of the CBC or the ICIJ releasing the source data to any tax authorities. Sen. Percy Downe said the vacancy [at the head of the CRA] gives Prime Minister Stephen Harper the opportunity to elevate the job to the “importance it deserves” — to provide the resources to crack down on Canadians who stash money in havens to avoid paying taxes. In 2007, the government was given a list of 106 Canadians with secret accounts worth more than $100 million in a bank in Liechtenstein. They were among a longer list of clients taken from the bank by a former employee and later acquired by the German government, which shared the information with countries whose citizens were on the list. “By its own admission, since CRA received this information five and a half years ago, not one of these Canadians who have hidden their money abroad to avoid paying taxes in Canada has stood before a judge,” said Downe.